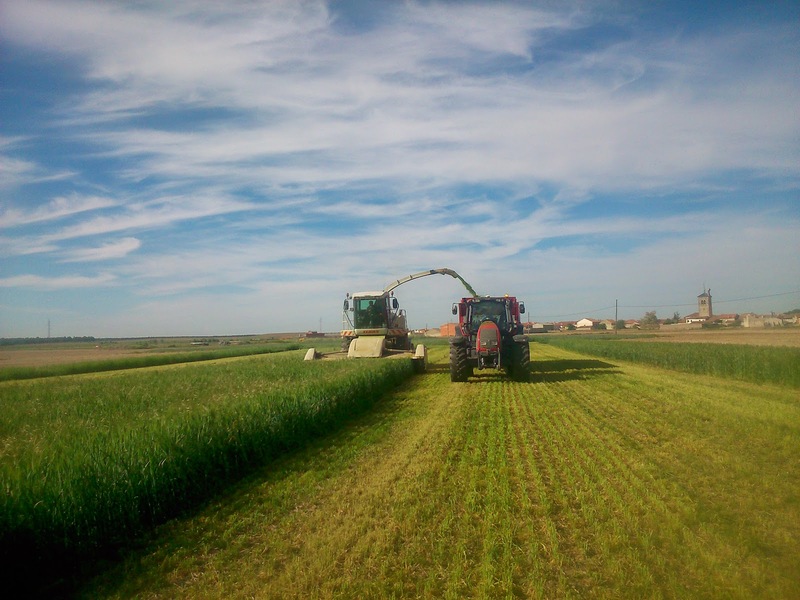 We are going to speak about silaging... it is our first time. 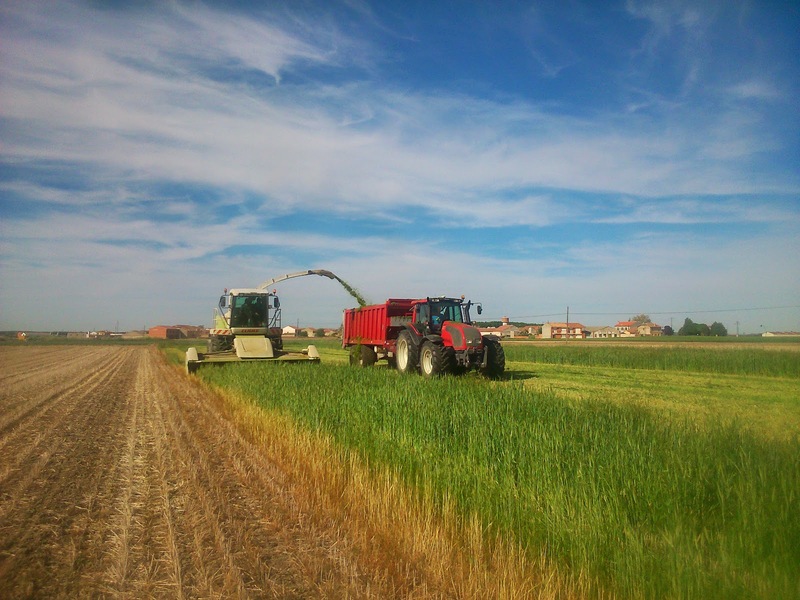 In the area where we live it is not very common this task so we aren't used to see it in these fields... 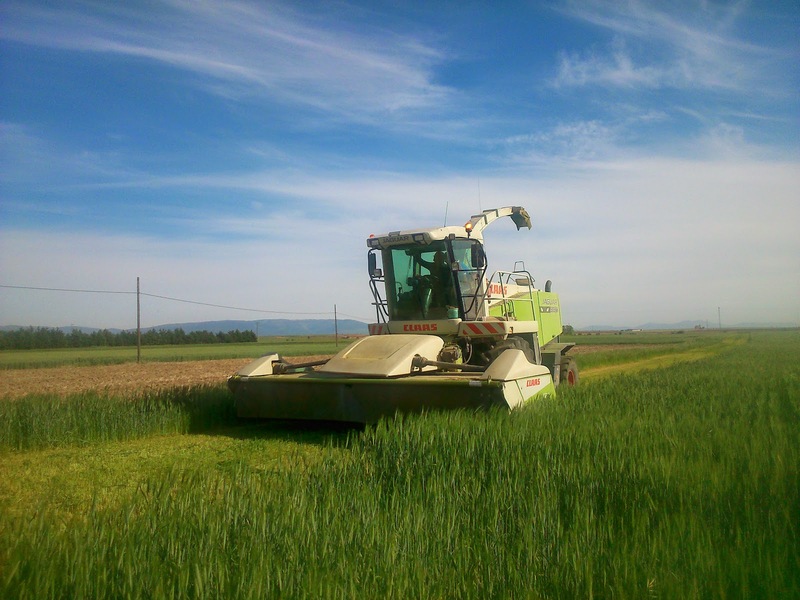 In fact, we have never seen a forage harvester working. 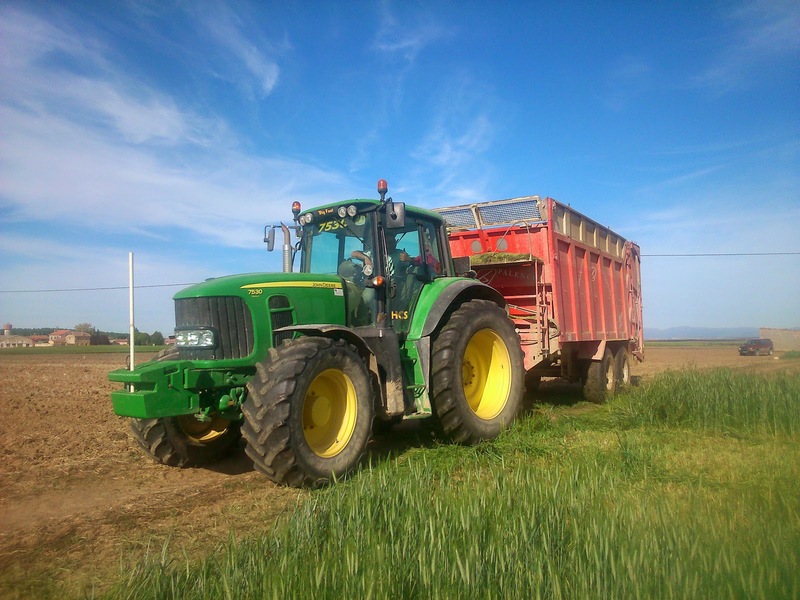 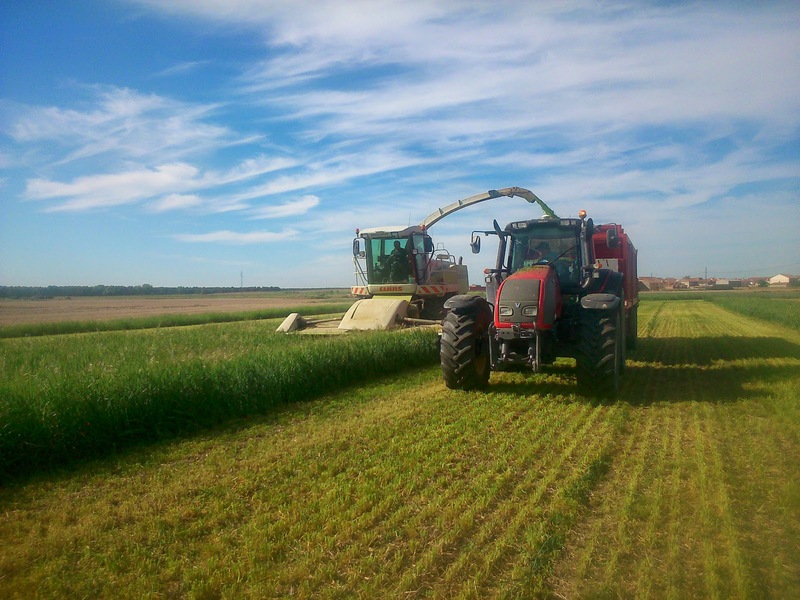 Some weeks ago, our friend Alberto Barrio sent us a few pictures about his silage tasks. 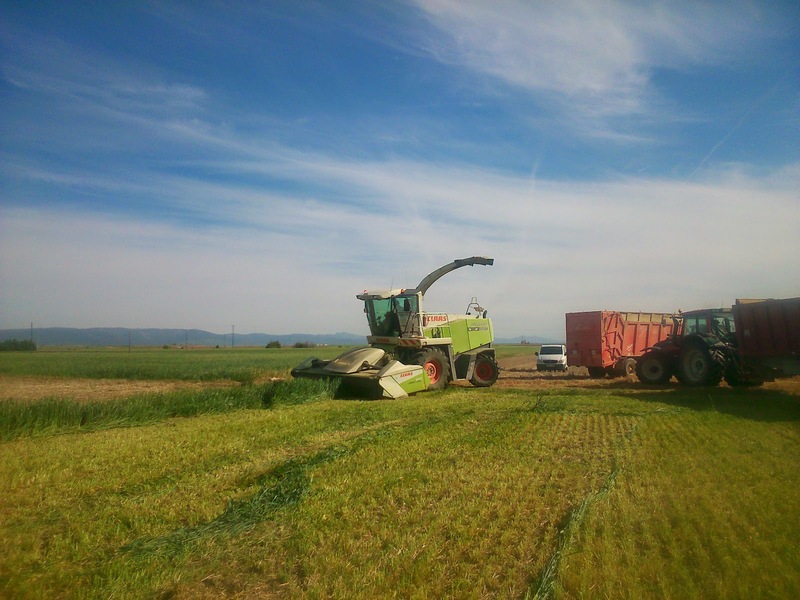 As you can see, they were harvesting vetch and triticale. 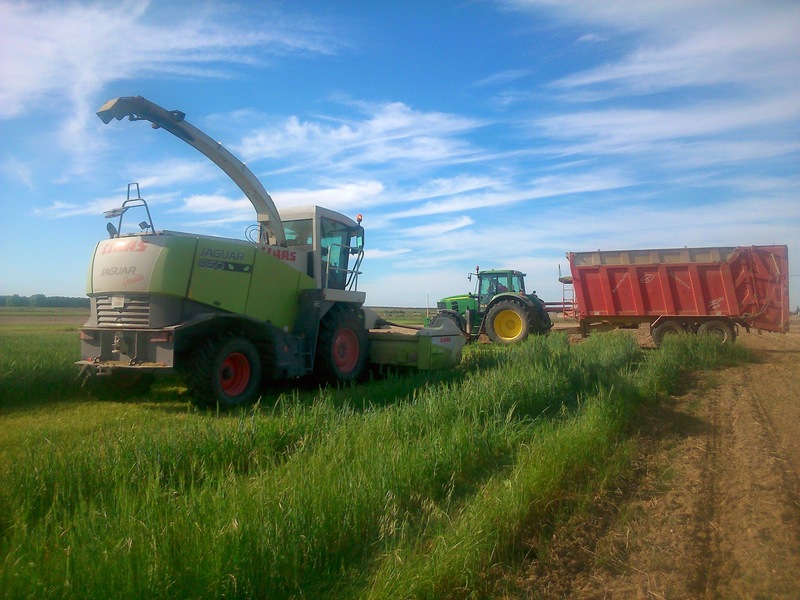 He transports forage (with his Valtra T161 and his large trailer which can upload about 14,000kg of forage) from the field to his farm... as we told in previous posts he has about 350 calves. 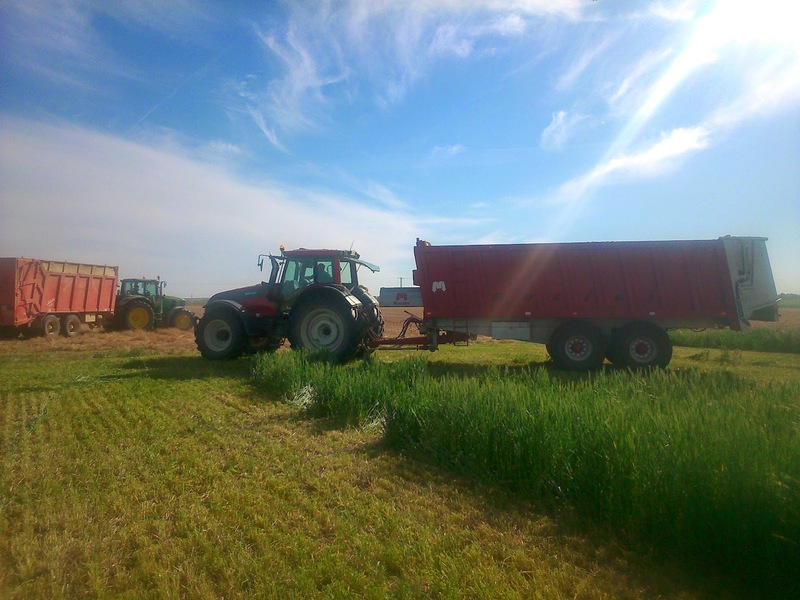 When forage is into silo it is trodden...the goal of this job is the forage to expel its water and air. 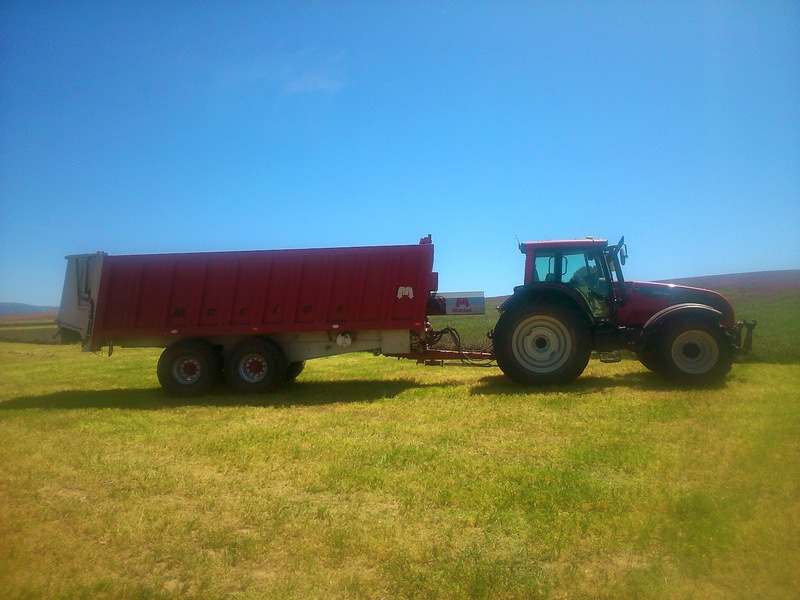 It has to be very compact. 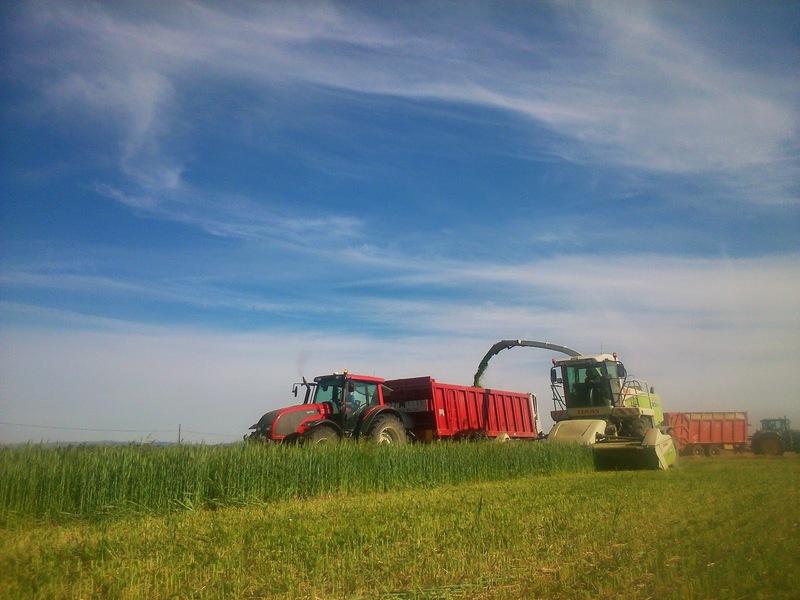 After that, forage is covered (he uses a plastic canvas) during a month, as minimum, before being ready to be consumed. 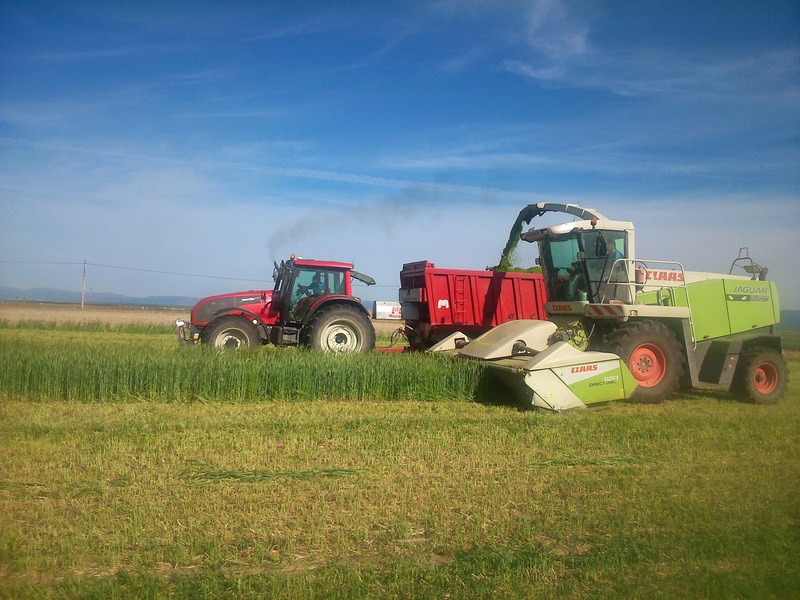 As you can see in our pictures, he has a worse crop because the spring is being really dry. 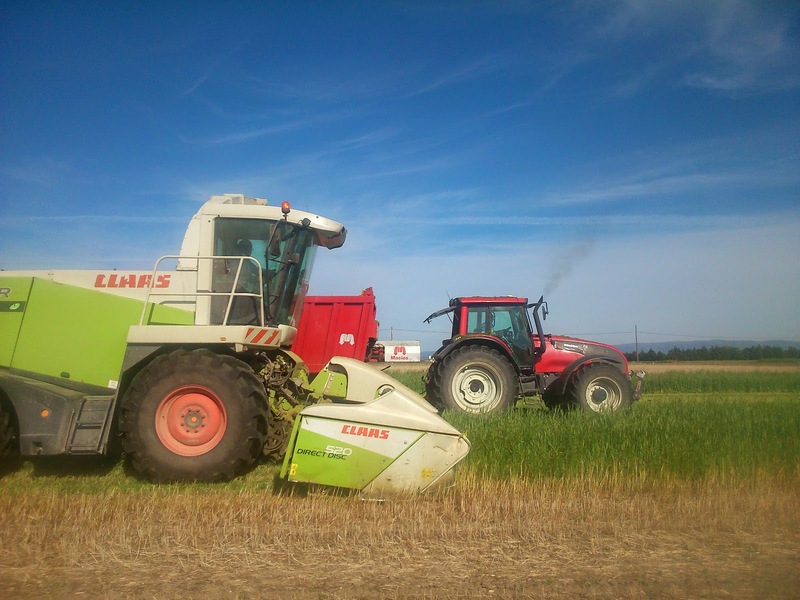 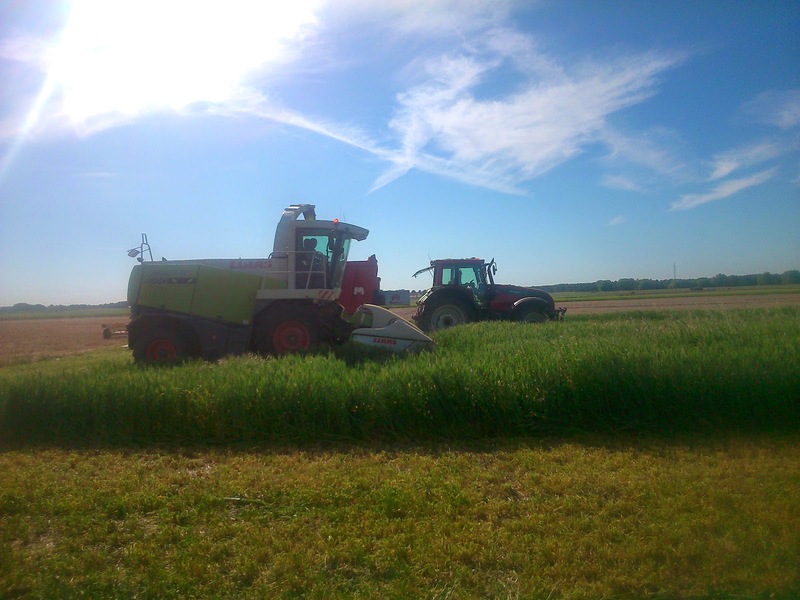 Alberto told us the silage works were very quick because the Claas Jaguar 850 forage harvester haven't had any problems to work at 15km/h (the common working speed is about 8km/h). 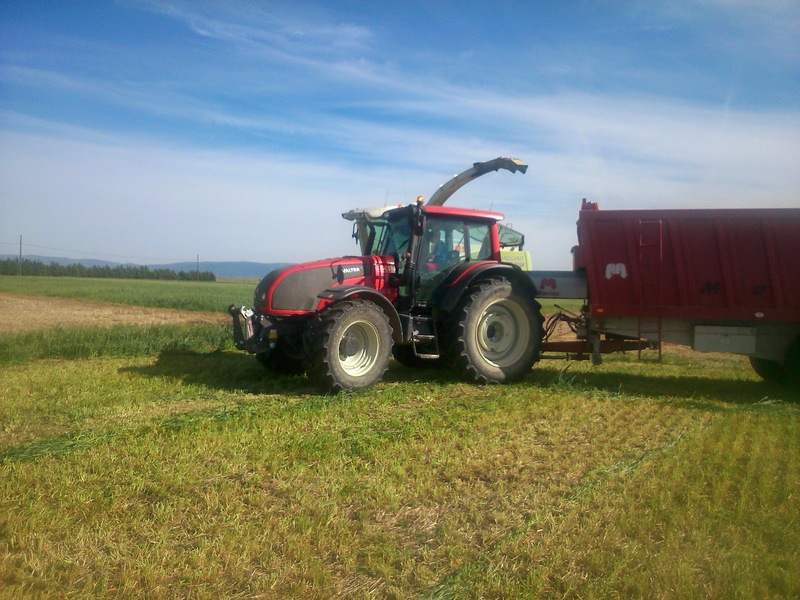 It is very important harvesting forage when it is in its optimal state to get the best quality... he is silaging a big part of his crop because forage is expensive.